Published by | Universal Media Co.
ODS is Australia's foremost industry resource servicing the external works industry. 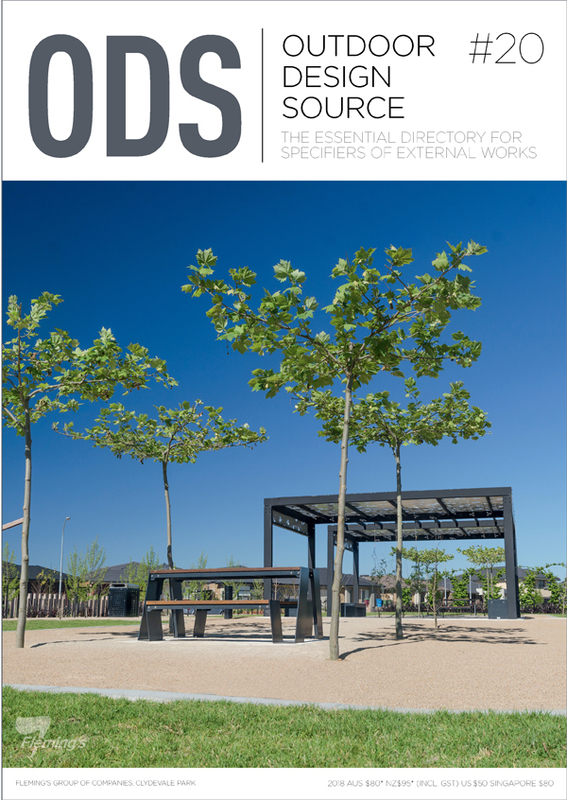 Featuring over 450 pages of external works products and services, with over 10,000 company listings and 1500 product images, ODS is the leading industry directory. The ODS print directory is enhanced by a fully-responsive website, a series of industry sector targeted enewsletters, digital editions, a regularly updated industry newsfeed, and an active presence on social media platforms that include Facebook, Twitter and LinkedIn. External works specifiers and association members may apply to receive a complimentary copy of the ODS print directory using the form on the right. Order your ODS now and not only do you get over 450 pages of products and services that will help you to specify your next project, you also get the ODS weekly enews delivered direct to your digital device. ODS is utilised by anyone involved in the external works industry, including Landscape Architects, Public Works Developers, Civil Engineers, Landscape Designers, Landscape Contractors, Local Councils and all Park and Property Managers. (Note: If you are a member of an external works industry association such as AILA, AILDM, Landscape NSW & ACT, Landscaping Australia, LQ, LV, LIAWA or LIAT you will need to 'opt in' to receive a complimentary copy of the ODS directory by completing the form to the right). Featuring industry news, product releases, event notifications and design inspiration, the ODS enewsletter is sent to over 21,000 subscribers each week. Our fully responsive format puts our enews on the device of your choice instantly, giving you all the latest industry news at your fingertips - even when you're onsite. * NB: Project information is gathered in order to verify your status as a specifier, and identify the types of projects that you work on. The information is handled with the strictest of confidence and hereafter is not used in conjunction with your name.